I thought I'd bring up one of my currently favourite animes! I love the manga and am so glad its still going but its really sad that the final ep is almost out *tears* I really hope they make a second series but I don't think they will *cries*. I can't wait to see the finale though, KyouheixSunako ftw!! So anyone else agree that this is a great anime? Eeehh, you really thought the anime was great?? Well this is just my opinion, but I thought they could have done better. The voices didn't really match the characters and there was just something off with the style of the anime. I love the manga much much more. The anime didn't really made me laugh as much. 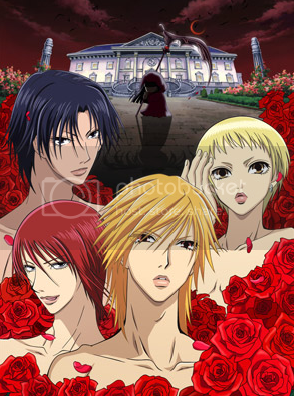 Probably I was too overly spoiled after watching the Host Club anime and I was comparing the two. I like it because its funny. But I prefer the manga rather than the anime. Because there are some scenes that are not shown on the anime. I agree that the anime is a bit plotless, but then....so is the manga! It's mostly made up of vignettes where the guys try to change Sunako into a lady, but she is blissfully immune to all of that ultimately. And that's part of the fun-- I just love the wacky and unique characters so much that I want them to stay together, and stay the same. I think in Vol. 16 of the manga, in the mangaka's notes section, Hayakawa-san says that her editors have been bugging her to do more character development and to move the story along, but....I really don't want it to end! I want it to continue forever, with Sunako and her bishonen roommates carrying on in their silly escapades! it's sooo funny! i love the girl! but i dont know why the manga doesnt finish. it;s stock on ch 98!!! why wont they finish it!! I really agree that the anime is a bit plotless. It's a gorgeous, spacious mansion, and four handsome, fifteen-year-old friends are allowed to live in it for free! There's only one condition-that within three years the guys must transform the owner's wallflower niece into a lady befitting the palace in which they all live! How hard can it be? I really like it.